Fact: Korean dramas have taken the world by storm. Their popularity among fans is so intense that they can't even wait a day to stream the next subbed episode of their favorite show. And, we totally don’t blame them: Our obsession with K-dramas is pretty extreme as well. But since there's always room for improvement, here's a short guide to being a better fangirl! Bowing is the traditional way to greet someone in Korea. For men, it's usually accompanied by a handshake, where your right forearm is supported by your left hand. For women, a slight nod instead of a full bow is practiced. Although you've probably already observed these in your K-dramas! Most K-drama theme songs are K-pop hits, and sometimes, they're sung by Korean idols who play the lead or supporting roles on the show. If you're a K-drama fan, it's an excellent way to get yourself pumped up for the day! You'll easily get used to the accent after watching a few K-drama episodes. Master the language, and maybe you can sub the lines of your favorite oppa in a drama someday! The wardrobe of your favorite K-drama unni is always on-point, so copying the way she dresses is both fun and satisfying. This is one of the ultimate goals of a true K-drama fan. Seoul and Jeju Island are pilgrimage sites, and stepping foot in the cafes and parks can satisfy our K-drama obsession. If Korea is the Mecca of K-drama fans, seeing the lead stars in the flesh is the ultimate fulfillment of our K-drama fantasies. If we can actually shake their hands, take selfies with them, and have them sign our K-drama collectibles in a fan meeting, we'd probably explode on the spot. The easiest way to satisfy your K-drama obsession is to eat what your idols are eating! After having your fill of kimchi, galbi, and bulgogi, dig into a bag of Calbee Honey Butter Potato Chips for a savory-sweet end to your meal. It's a delicious way to realize your K-drama dreams. 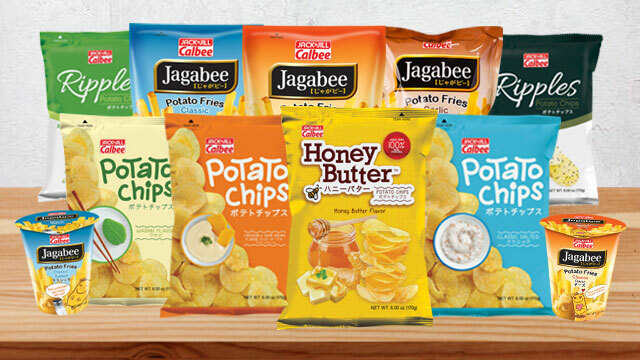 Calbee Honey Butter Potato Chips is available at leading groceries nationwide. Visit Calbee's Facebook page to learn more. This article was created by Summit Storylabs in partnership with Jack 'n Jill Calbee.